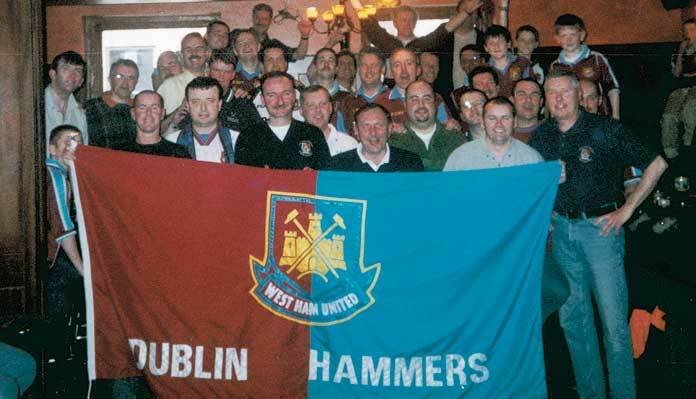 Dublin Hammers Members - 2000/2001. 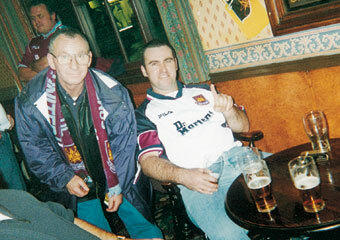 A selection of members photographs taken in 2000 and 2001. 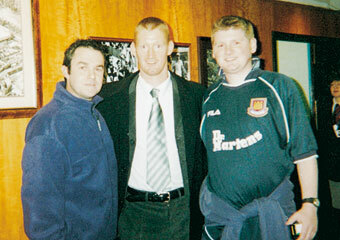 Above: The Dublin Hammers 2000. 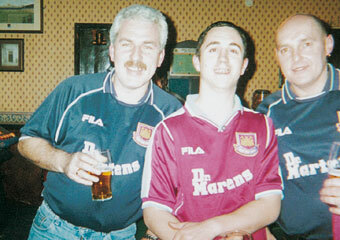 Above: Dublin Hammers members on a club trip 2001. 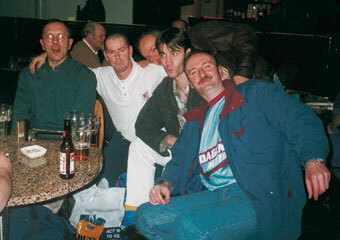 Above Left: Dublin Hammers members on a club trip 2001. 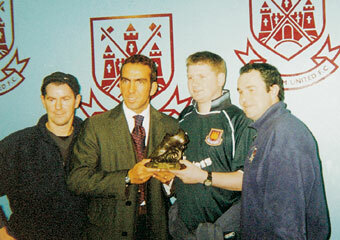 Above Right: Dublin Hammers members present Paulo DiCanio with our ‘Hammer of the Year Award 2000’. 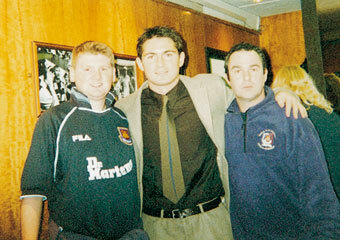 Above: Dublin Hammers members meet Frank Lampard (left) and Steve Lomas (right) after presenting Paulo DiCanio with his HOY Award.